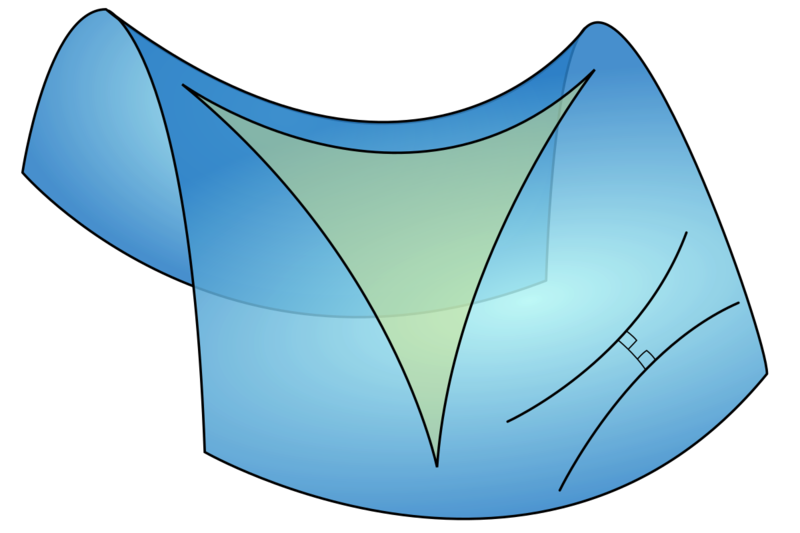 From Is there any easy way to draw a ruled surface like a hyperbolic paraboloid in TikZ?, I found a way to draw the saddle-shaped surface. Is there a way to draw the triangle on it? And get the colours/transparency like the picture? In principle it is very simple: draw a parametric curve on the manifold and fill it. UPDATE: Tried to accommodate the requests in your comment. Please note also that the boundaries of the triangle are not pixelated on the pdf, the pixelation comes from the conversion to png. 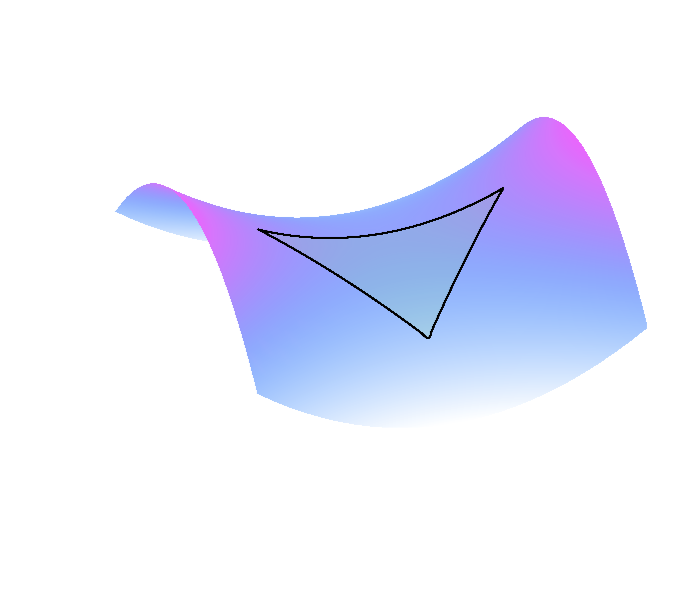 ADDENDUM: Transparent plot with tikz-3dplot. Note, however, that the top contour is guessed. You can not easily adjust the view angles here without doing some math before. Not the answer you're looking for? 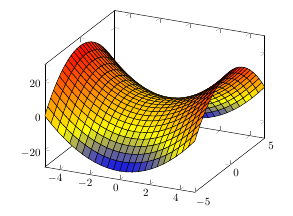 Browse other questions tagged tikz-pgf pgfplots 3d or ask your own question. 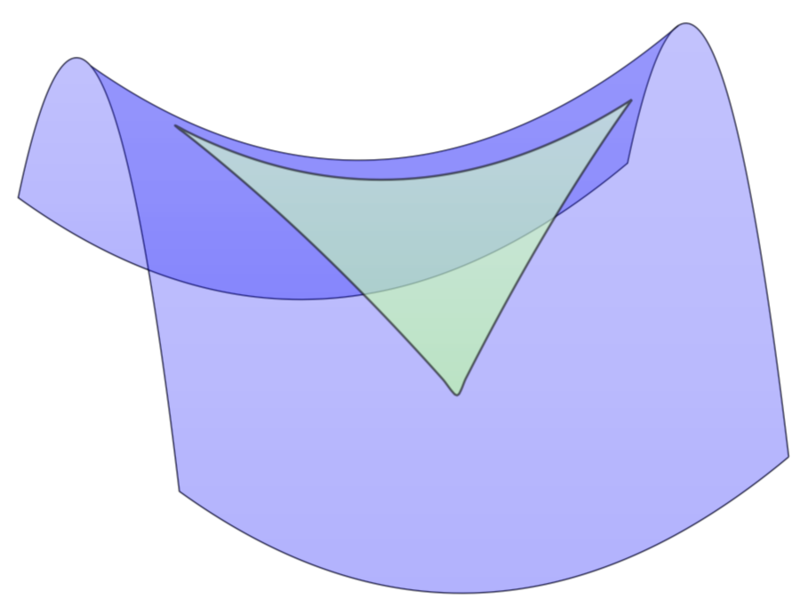 Is there any easy way to draw a ruled surface like a hyperbolic paraboloid in TikZ?